Between 1348 and 1715, western Europe was fraught with turmoil, beset by the Black Plague, numerous and bitter religious wars, and frequent political revolutions and upheavals. Yet the Europe that emerged from this was vastly different from the Europe that entered it. 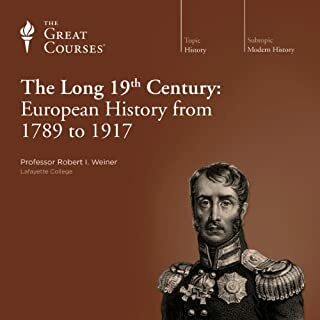 By the start of the 18th century, Europe had been revitalized and reborn in a radical break with the past that would have untold ramifications for human civilization. 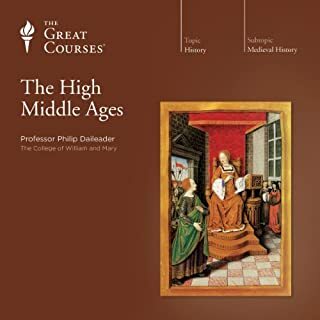 The Early Middle Ages - the years from A.D. 650 to 1000 - were crucial to Europe's future social and political development. 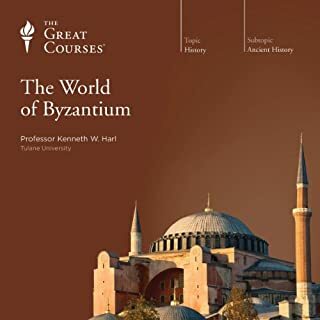 These 24 lectures trace a journey from Scandinavia across northern and central Europe to the farthest reaches of the Byzantine and Islamic empires, providing an exciting new look an era often simply called the "Dark Ages." Given the period's dismal reputation and its temporal remoteness from the 21st century, you'll be surprised to learn about some of the most challenging questions historians have ever had to tackle: Why did the Roman Empire fall? Why did the ancient world give way to the medieval world? Why did Christian monotheism become the dominant religion in Europe? 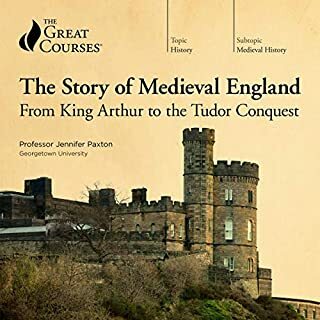 You'll meet some of the era's exciting figures, such as St. Augustine and Justinian, and you'll consider the extent to which the historical realities of King Arthur and Charlemagne match up to the legends that have become attached to their names. You'll also look at the era's effect on the Vikings, the rise of the Carolingians, and the golden age of Islamic rule in Spain. Professor Daileader also explores the contrasting historical theories offered by two extremely influential historians: Edward Gibbon, the English author of the monumental The History of the Decline and Fall of the Roman Empire, whose explanations closely followed those of the Roman moralists of the 4th and 5th centuries; and Henri Pirenne, the Belgian thinker who injected a newfound emphasis on social and especially economic factors into the analysis of history. You'll see why the era belies its reputation as dark and dismal, but you'll come away with a new appreciation for this once-lost era. 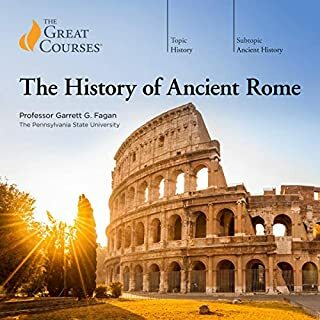 The professor managed to weave an interesting history together about disparate parts of the Roman Empire, and how this civilization evolved and changed from the late antiquity to the early middle ages. Turns out that 476 AD was kind of a meaningless year, overall. learning the history of the early medieval era and the end of the Roman Empire is really important I think. 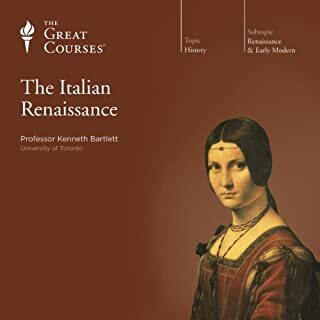 A good lecture on the facts and good discussion of theories about the fall of the Roman Empire and rise of Europe. I found the course very interesting as it covered a period that I am not familiar with. The material was well presented and paced perfectly. Amazing Look at the Transition to the Middle Ages! This was an excellent read! Professor Philip Daileader is an excellent lecturer and scholar and you probably won't be disappointed by anything you get from him. 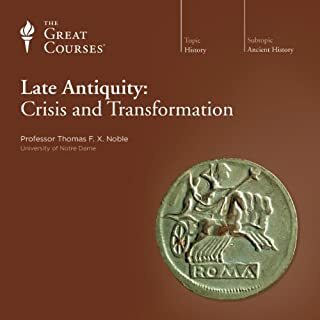 This lecture series takes you from the late Roman Empire around the time of Constantine and traces the transition of Europe from late antiquity to the middle ages. 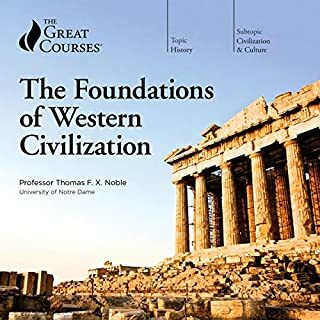 You will learn about the collapse of Roman rule in the West, the continuation of the Roman empire in the East through the Byzantine rulers, the Barbarian invasions of Western Europe, the rise of Islam, the emergence of the Carolingian Holy Roman Empire, and the eventual splitting off of that empire into what would become the modern states of France and Germany. He covers all major historical events to about 1000AD. 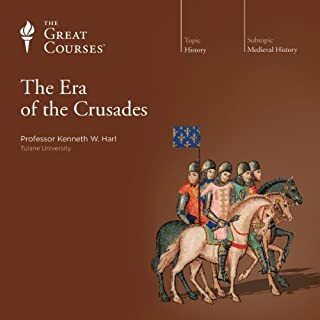 If you would like to learn more about how Europe went from a unified Roman empire to the divided and complicated state it is in now, I cannot recommend another resource more highly. 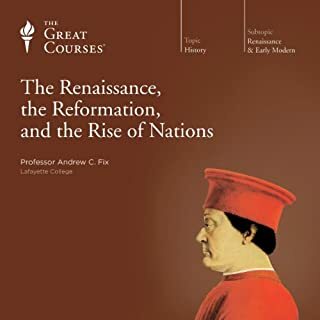 You will learn about the foundations of all the modern nation states, including England, France, Germany, Italy, and Spain. This was an invaluable read for me as it helped me connect all of those dots! Also, the professor tries to highlight not just political history, but also cultural, economic, religious, and social aspects of history in his overview. 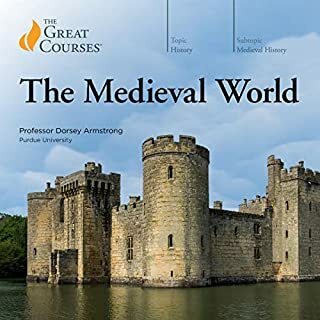 This is part one of a three part series offered by the Great Courses that will take you through the entire middle ages up to the year 1500. I highly recommend the whole series. If you are at all interested in the topic, and enjoy a good read about history, you will not be disappointed! Enjoy!!! I enjoy everything that this professor does, but I do enjoy this time period this best. He has such a good sense of humor and relevance. It is a good course. Be warned, the prof has a nervous habit of drawing out and, as, and other conjunctions. He seems to tone it down as the course goes on, but at first it's like nails on a chalk board. 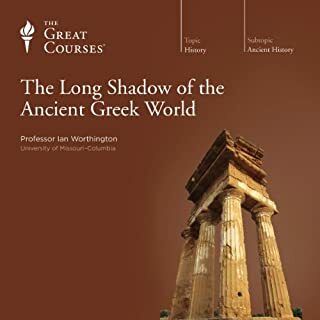 This is a great series of lecture about a fascinating period of history. 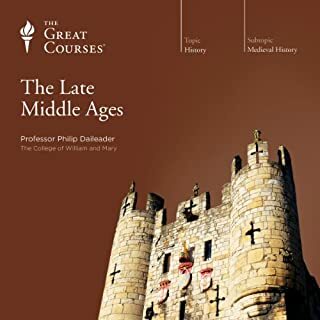 The professor does a particularly great job at explaining the historiography of this topic, and weaving that into our understanding of the early middle ages. It turns out there aren't too many primary sources a historian can pull from when it comes to this topic, but what is extrapolated is fascinating nonetheless. My only small complaint about this course is that Professor Daileader's tone sometimes takes on an air of "this is too complicated to explain, but I'll painfully try to explain it to you." It's not quite condescension, it's just a very apparent "pained" tone he sometimes takes on. I found this occasionally distracting. 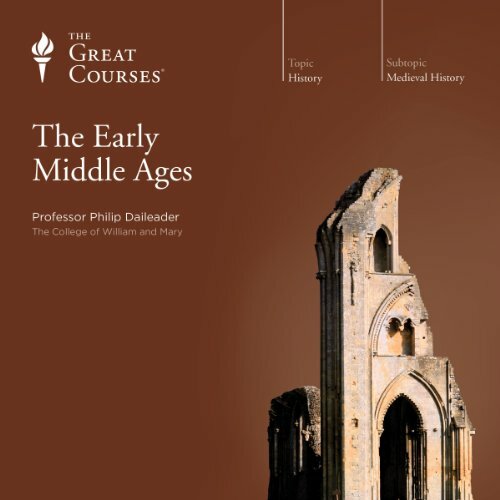 Early early Middle Ages, background and ... yawns. Did Professor Philip Daileader do a good job differentiating all the characters? How? This is a very typical "history course", the kind we all know from school, if we had a teacher that really knew his topic, was interested, loved the theme ... and just couldn't wake us up in time before class ended. The pro is: Mr. Daileader knows his ways around, he presents a very stringent, logical line of historic events that "follow one another with some believable interconnections". 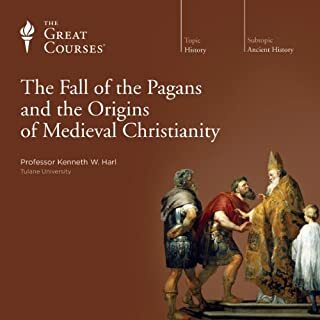 At first I was irritated because he started his journey way before what we usually call "middle ages" (around 300 AD), but that soon made enough sense, as he laid out the grounds for the political (and to some degree religious) developments throughout the "medieval world". Also on the pro side: By concentrating fully on the "hero characters", by strictly following global events, Mr. Daileader manages to explain the rather complex and divided historical lines in a "graspable package". The con is: Aside from the very unusual presentation (it sounds as if Mr. Daileader recorded the sessions after long and very hard working days, only wishing to get to bed as soon as possible and barely being able to concentrate on the notes from which he, quite audible, pun intended, reads) it's exactly the concentration on the global political view. There is nearly no "every day life" in this lecture, there is no "why did the people in the world do what the people in the world did", there is no "where do we get our information from", no "can we believe this view on history, since we clearly only have data from victorious sides", no doubt, no insight, no "if you want to know more about this, read xyz", no "As abc points out - and you can find more about this by looking at ...". It is all a giant block of "this is how it went. Period." Sure, there are some very carefully placed "we don't know exactly" lines, but at the end of the course the audience is left alone with no clue where to go for more in depth detail, or some hints at what might have been completely different than presented. Now, I do understand that evidence is lacking for a lot of events covered in this course. But archaeology is constantly making (slow) progress, views are getting changed, data is questioned. Mr. Daileader ignores this, strictly following his notes, not once speaking freely and "in the here and now". This is the sad side of those cliche teachers: They seem to know so much, that any kind of doubt or careful questioning bounces off from them and the fact that we only have very shady ideas of "how it all came together" seems but a distraction to them. Someone get that gentleman a coffee. A strong one, please. The constant (and I mean constant) yawning and stressing of every second "aaaaaaaaaaaaaaaaaaannnnnnnd" or "thhhhaaaaaaaaaaaaaatt" (followed by another suppressed yawn) or a break, while Mr. Daileader regathered his thoughts made concentrating on the GREAT content so unnecessarily difficult ... speeding up playback a tad helped, but required even more concentration to follow the lectures. The prof had a sense of humor and way with words. Breaks the lessons into coherent building blocks that tell the whole story. Excellent story telling. Lecturer is engaging, funny and brings a sense of modern and approachability to an underrated time period. 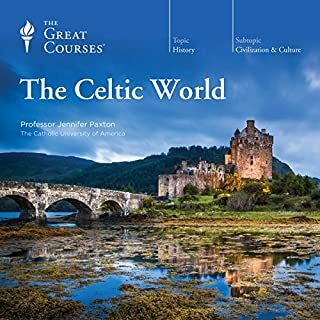 This is one of my favorite Great Courses. Having recently re-discovered my love for Ancient and Medieval history, this is exactly what I needed. 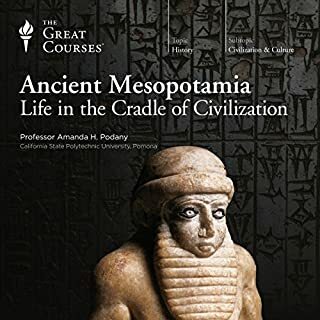 There's no prior background required, but enough interesting detail that I learned a lot despite having read some other books on the period recently. I particularly liked that each lecture was self-contained and yet built on each other. Although I listened to it relatively quickly, it would work well for someone who needs a podcasting for commuting or other travel. Daileader helpfully frames each lecture with a summary at the beginning and the end. He has a dry sense of humor and tells wry anecdotes and differing views of scholars all in a very engaging way. Because he is only focusing on one part of the Middle Ages, he was able to go a bit deeper than some courses or books on the period. Prof. Daileader does have some verbal tics that might bother some people. I quickly got used to them, however. Overall, he reminds me of Prof. Fagan's lectures for being witty, fascinating, and accessible to those with different levels of knowledge. 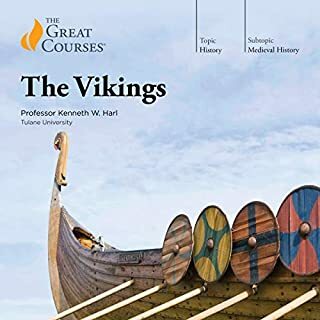 I liked Daileader so much that even though I haven't been able to buy his other lectures on discount, I will splurge and use a credit to get one! 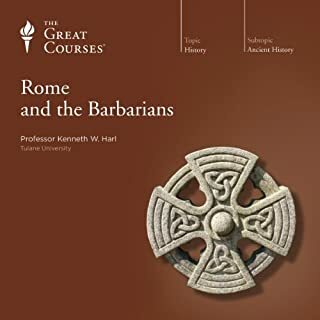 Excellent review of how religion, politics, family structure, language, etc changed as humans colonized and conquered Rome, Germany, Spain, and England. This course details the power struggles between families as the grappled for control over empires and kingdoms (did family feuds or outsiders bring them down?). I feel as if I learned more about earlier and later time periods. For me, this filled in some gaps. The course itself is really short (12 hours on Audible). Very digestible. No prior knowledge required. Absolutely recommend.